Eloisa Klementich | HOPE Global Forums | Presented by Operation HOPE, Inc.
Economic development expert Eloisa Klementich has spent the last two decades solving complex problems at the city, state and national levels. Currently, Klementich is president and CEO of Invest Atlanta, the City of Atlanta’s economic development authority where she has been lauded for her involvement in nearly all recent economic development wins for the City of Atlanta. Some key accomplishments as President and CEO of Invest Atlanta and in her previous role as head of the agency’s economic development department include helping to create more than 30,000 new jobs, $3.3 billion in new capital investment and over 2,800 affordable housing units in the City of Atlanta. Previously, Eloisa served as managing director of business development at Invest Atlanta. In this position, she worked to attract new businesses and create initiatives that promoted job growth in Atlanta. 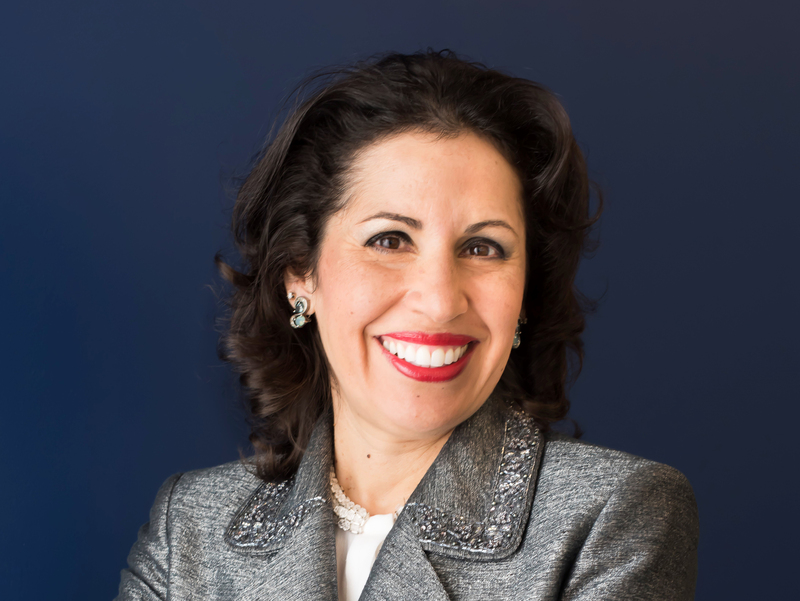 Before coming to Invest Atlanta, Eloisa served as special assistant for economic development at the U.S. Economic Development Administration in the Office of the Secretary. She served as California’s assistant deputy secretary for economic development and commerce and has held various roles with city governments, including a consultant for Mexico’s President Vicente Fox, working on best practices for addressing constituent issues and requests. Eloisa holds a bachelor’s degree from Pitzer College, as well as master’s degrees in urban planning and Latin American affairs from the University of California, Los Angeles, and an MBA from el Instituto Tecnológico de Monterrey. She received her doctorate degree in public administration from the University of LaVerne.